Great location fronting W Market and frontage on W Main with 7045 sq ft parking area. 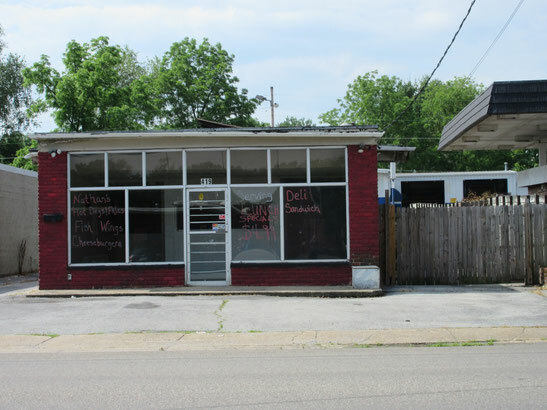 1206 sq ft brick building has recently housed an eatery and still has a fenced outdoor patio area and drive thru window. Remove the privacy fencing and you would have vehicle access along both sides of the building. Large windows across the front allow for great display opportunity. His and her bathrooms for customers or employees. Access doors include front, side and two on back. Needs a little TLC but that allows the buyer to modify to meet their requirements.